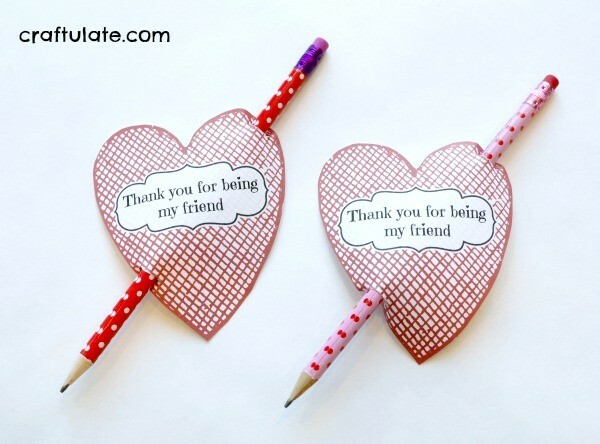 These Valentine Classroom Gifts are the perfect craft for preschoolers as they express gratitude for friendship. Just print the template and add pencils! Giving Valentine’s gifts to school friends is all new to me – I completely missed it last year as I had no idea this was what kids were doing. 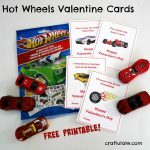 I don’t think I got involved with Valentine’s Day gifts as a kid until I was at least 11 years old! My son is only 3.5 years old, so I decided to skip the puns and classic love declarations and go for a simple friendship message. 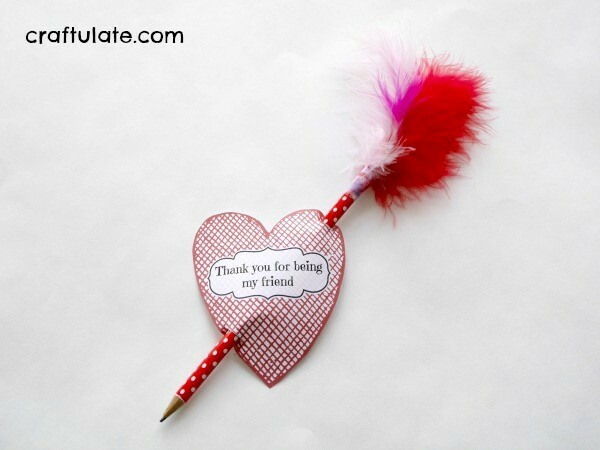 Print out as many of the heart printables as you need – I’ve set them out two to a page. Use the scissors to cut them out. Use the craft knife to cut out the two small gray areas from each heart. This is definitely a job for a grown up – and please make sure you use a cutting mat or similar underneath! Thread the pencil through each slot so that it looks like an arrow piercing the heart. If you want to get extra fancy – then you could add some feathers! Just place a few feathers onto some clear tape and wrap it around the end of the pencil. 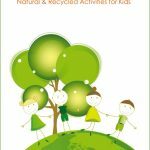 Write your child’s name (or get them to write it!) 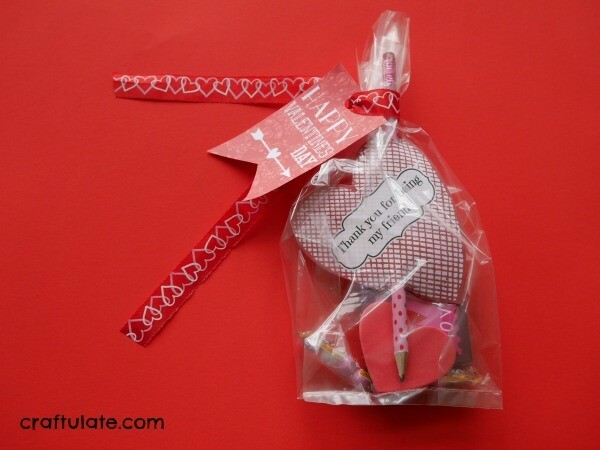 on the back of each heart or place it in a cellophane bag with other treats and add a cute label. I found some free gift tags from Soho Sonnet and some Bag Toppers from Love From The Oven that I might use!